You’re driving along and think of something you forgot to tell your spouse. Or perhaps your phone beeps with an email alert. Maybe you just need to tell a co-worker that you are running late. Is it worth it sending that text? NO its not! We have all seen the headlines and the news reports. “The young woman, Maggie, was texting at the time her car crashed into the guardrail.” Or, “Man arrested for causing fatal crash; was texting seconds before the accident.” Despite all the headlines, horror stories and laws prohibiting texting and driving, many folks simply think nothing will happen to them, and continue to text and drive. In 2011, 3,331 people were killed in crashes involving a distracted driver. Additionally 387,000 people were injured in crashes involving a distracted driver. At any given moment in the U.S., approximately 660,000 drivers are using cell phones or electronic devices while driving. 11 percent of all drivers under the age of 20 involved in fatal crashes were reported as distracted at the time of the crash. 21 percent of drivers between the ages of 15 and 19 involved in fatal crashes were distracted by the use of cell phones. Sending or receiving a text takes a driver’s eyes from the road for an average of 4.6 seconds – that’s the equivalent of a driving 55 miles an hour the length of a football field blind. 20 percent of teens and 10 percent of parents admit to having extended, multi-message text conversations while driving. A study by the Virginia Tech Transportation Institute found the collision risk was 23 times greater when drivers of heavy trucks texted while driving. Dialing a cell phone and using or reaching for an electronic device increased the collision risk about 6 times in cars and trucks. 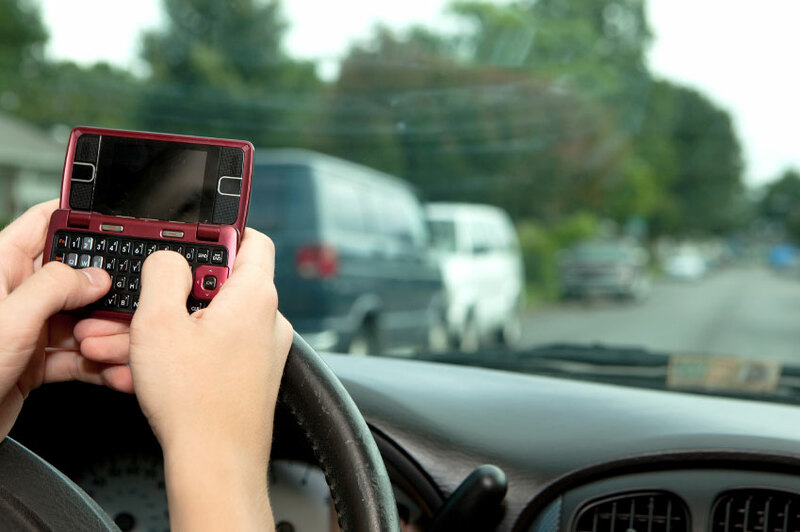 Here’s something else to consider: Texting while driving is against the law in New Hampshire. https://www.tennandtenn.com/practice/texting-driving.html The fine for texting while driving is $100. If you’re driving a commercial vehicle while texting, you could lose your license. That means you could lose your livelihood. Distracted driving caused by texting is a bad idea. Just don’t do it. If you or a loved one has been injured due to a distracted driver, the personal injury attorneys at Tenn And Tenn in Manchester, NH can help. We can be reached on our Toll Free Injury Helpline at 1-888-511-1010. All initial telephone consultations are confidential and free of charge. The previous two stats are from http://www.cdc.gov/motorvehiclesafety/distracted_driving/. The previous five stats are from http://www.distraction.gov/content/get-the-facts/facts-and-statistics.html.